Dubai: Dubai’s Court of Appeal on Wednesday ruled that the lower courts had been wrong to seize a £330 million (Dh1.59 billion) superyacht belonging to Russian oil and gas tycoon Farkhad Akhmedov, after it became subject to the UK’s biggest matrimonial settlement, according to a statement from the oligarch. Luna, which previously belonged to Roman Abramovich and is now owned by a family trust set up by Akhmedov has been impounded in Dubai for over a year after the oligarch’s former wife Tatiana Akhmedova won a worldwide freeze on his assets after he refused to pay Tatiana her half of his £1 billion fortune following their divorce. The Dubai Court of Appeal rejected an appeal by Tatiana against a previous court decision which ruled that the record £453 million divorce settlement awarded to her by the English High Court in 2016 was unenforceable in Dubai. 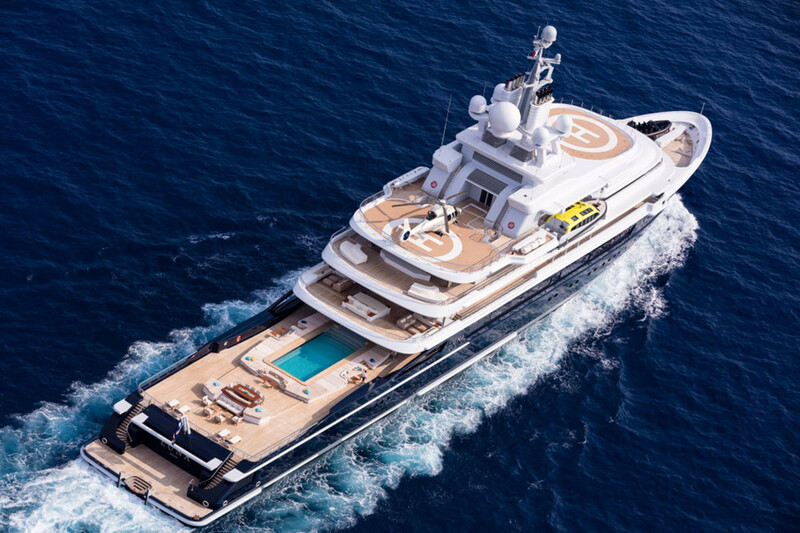 But on Wednesday, the Dubai courts ruled that the seizure of the superyacht was invalid and must be cancelled with immediate effect, according to a statement from the Akhmedova’s representatives. The judgement also requires Tatiana to pay all of Akhmedov’s and the family trust’s legal costs. A spokesman for Akhmedov said: “Mr Akhmedov is delighted but not surprised by today’s court decision in favour of the Akhmedov family trust. Akhmedov and Tatiana, both Russian citizens, met in Moscow in 1989 and were married there in 1993. The marriage was dissolved in Russia after seven years. However, in 2012 she pursued a ‘second divorce’ just days after Akhmedov made around US$1 billion (Dh3.67 billion) from the sale of his holdings in Northgas, an energy company he had built up in Siberia following the divorce.